Colbert does for The Conservative Teen What I did for Young Money and Time Kids. I might have, but the website has been taken down, either because of a lack of funds or a lack of stomach for ridicule. 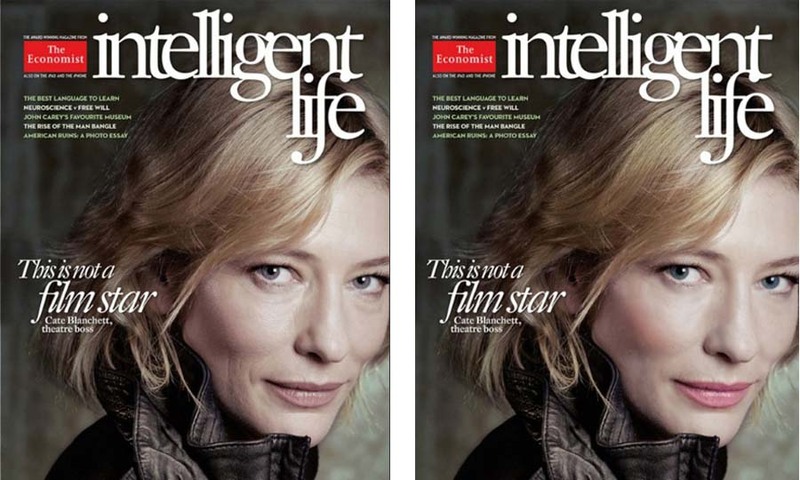 As reported in Jezebel (and elsewhere) The Economist‘s Intelligent Life franchise is running a photo of actress Cate Blanchett sans retouching on the cover of’its current issue. We can’t be too self-righteous about it, because, like anyone else who puts her on a cover, we are benefiting from her beauty and distinction. But the shot is at least trying to reflect real life. It’s a curious sign of the times that this has become something to shout about. The problem, of course is twofold—all the self congratulation around a single cover is de facto admission that the magazine has Photoshopped in the past and will likely do so again in the future—but more critically, Intelligent Life is is puncturing a myth upon which we are all dependent. If we stop believing in an uber-class of the wealthy, famous and powerful who, in addition to their other gifts, stay eternally young, can the oligarchy be saved? The proletariat will rise up once we stop asking each other if we look fat. 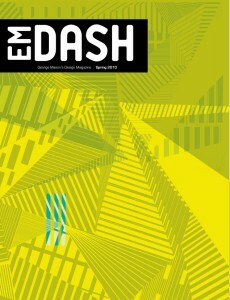 I’m pleased to announce that the second issue of George Mason’s student design magazine is now available. It can be purchased as a hard copy at MagCloud or downloaded as a pdf for free. Congratulations to editors/designers Carey Jordan and Kelsey Hunter for doing a spectacular job, and all students who contributed writing or designed work. 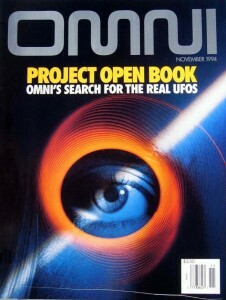 Slate remembers Omni magazine in this gentle tribute to the proto-Wired. I’m a bit late with a response to the NY Times Magazines’ redesign. But, the topic is near and dear to my heart, (love The Times, love the Magazine, read them religiously, etc. etc.) that I wanted to weigh in. And, if the critical response matters at all to the editors and publisher (and I suspect it doesn’t) I want to add to the record another voice pointing out how disastrously misguided the recent redesign was. Though I don’t know the details—I didn’t see the sausage being made—I would guess that this is a case where the designer did the best that could be done with really misguided prerogatives from above. It was certain, or nearly so, that changes were coming to the supplement. 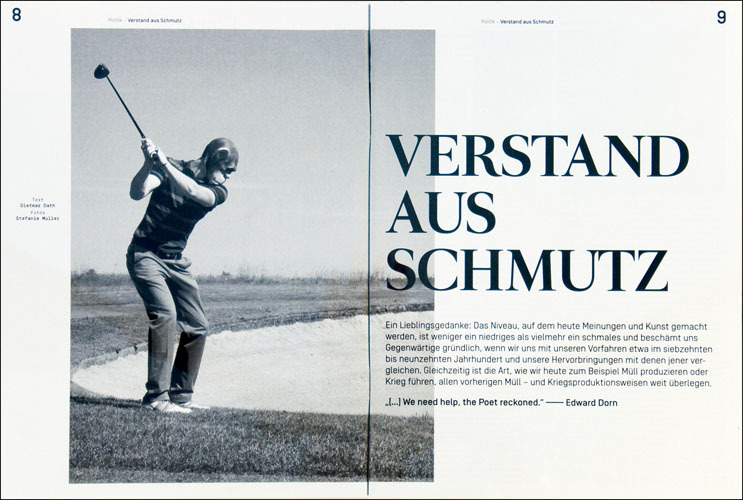 The (for me, anyway) heartbreaking departure of Janet Froelich, the magazine’s longtime and highly gifted design director to warmer ports and the demise of T and Play, the magazines’ occasional supplements foreshadowed more changes to the franchise. 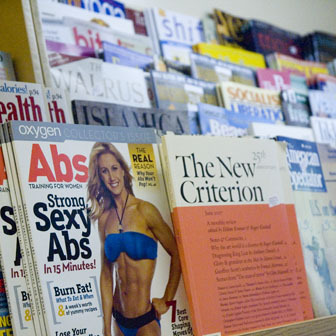 The magazine is now slightly smaller, but what could have been a mere size reduction has turned a once-beautiful magazine into a nearly unreadable one. The editor explains what happened in a letter in the roll-out: “The cut in trim size does not mean there is 9 percent less room on every page for words and pictures. [obvious nonsense, what else could it mean?] This week we are introducing a new typeface, Lyon Text….It is more condensed than our previous typeface—with the result that the words-per-page tally has hardly been affected….” Here’s my cynical interpretation: the published shifted some of the pain of financial cuts onto the magazine, and the editor punted that pain further down the field onto the design staff, and (more critically) the reader—god knows the editors shouldn’t also have to change the way they do business (cut tighter, for example). That decision—for words over usability—infects every corner of the redesign. The highly readable Stemple Garamond of the old design has been replaced by something that’s anything but. Both smaller and condensed, it is a struggle to get through it. The once elegantly open and inviting pages are now cluttered with the doodads, infographics and type. Even the new headline font (versions of Knockout) is condensed, contributing to an overall feel of expediency rather than pleasure (and makes the magazine look like a lot of others. As fond as I am of Knockout, it’s become an editorial cliché). 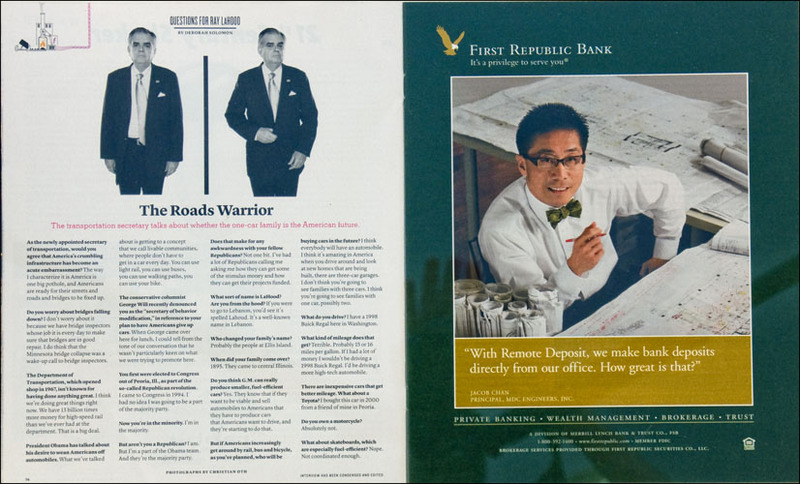 The Need To Pack It In There leads to some odd decisions—why, for example does the magazine run two almost identical portraits of the same person on the interview page, both cut off at the crotch?—probably because of the smallness of the available space, mixed with a desire to capture some of the page’s former impact. I used to save the magazine for late morning. Like many, I made it a reward for getting through the paper’s grimmer news sections—and we’ve been through some grim days indeed in the last eight years. The supplement doesn’t seem like a present ready to unwrap any more. Instead it has become a lesson in how to put a reader off. Anyone who doubts the value and necessity of white space need only compare Deborah solomon’s interview in the before and after (below). The old design had a playfulness, a graphic joy that now seems excised from the pages. One small example of this is the retired Christoph Nieman portrait of the ernestly goofy ethicist now replaced by a stark and old fashioned feeling silhouette. The Funny Pages (though I was not personally a fan) was charmingly out of character for the Times, but, it is also gone. 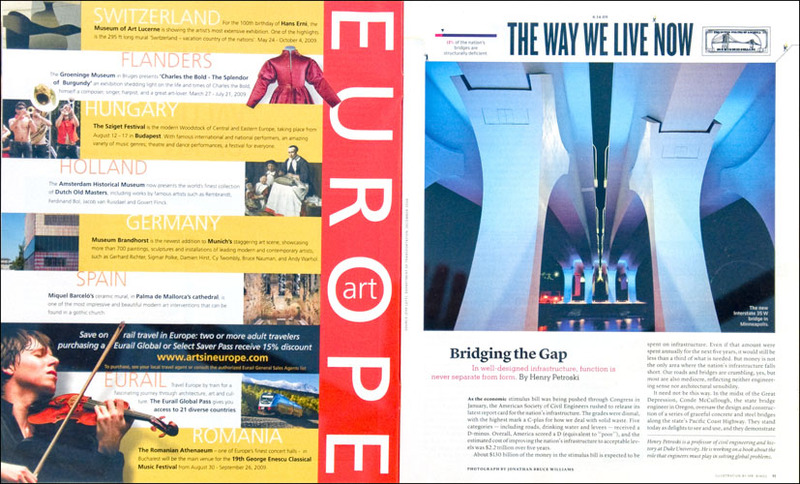 To be sure, the art direction—the quality of imagery—is still excellent and the writing (when the topic motivates me enough to struggle through the text) is just as good as always but designwise, they have reduced the magazine’s impact by much more than a slightly smaller page should have done. To be fair, magazines and newspapers are struggling now—that’s no secret. While I wish the publication had not downsized at all, if it were my money and the jobs of my friends on the line, I might have done the same. Nevertheless, I worry that publications are cutting out their hearts as a response to short-term hardships. (no matter how bleak things are now, the New York Times is not on the endangered species list.) 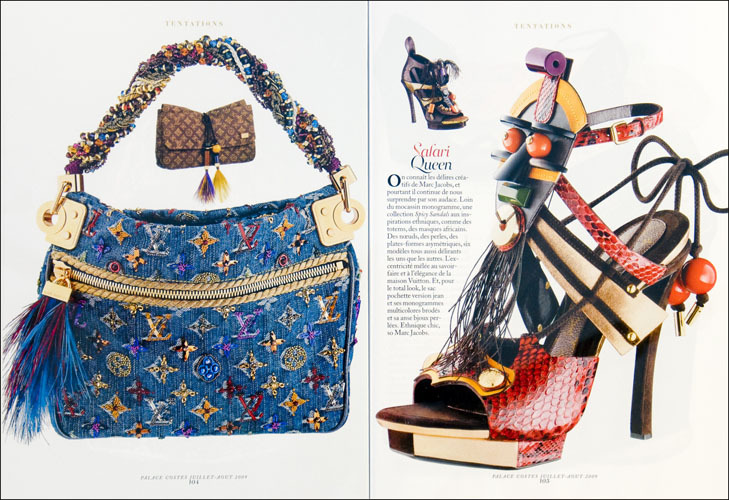 What magazines offer that web sites currently cannot is a truly visual experience. periodicals and books allow you to look at more and higher-quality imagery more quickly than the swiftest DSL can download pictures. Paper publications also provide a more pleasurable and portable reading experience. And the pay-to-play part of print still gives print publications an authority that web-only ventures do not have. If magazines are to survive in the web age (they will, radio did not kill newspapers, television did not kill radio or cinema) they will not do it by becoming paper web sites. The new NYT Mag is dangerously close to offering a worse experience than what can be found online. 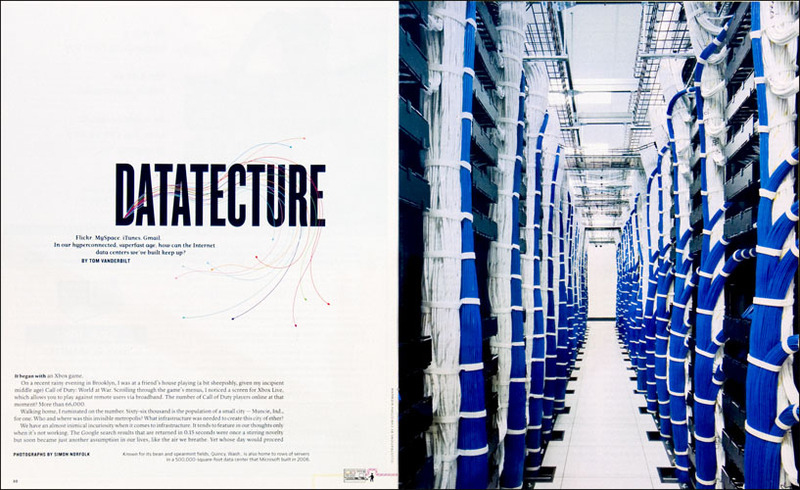 An earlier post about the NYT Magazine, which shows several pages from before the redesign, can be seen here. Update: Well, it was obvious this morning that T Magazine has not, in fact, been shuttered. I remembered reading that with such certainty that I didn’t think to check. I am not sure about other NYT Mag spin-offs Key and Play. If anyone knows for sure, please feel free to jump in. I’ve had a lot of job titles at magazines and newspapers over the years, but “faculty adviser” is a new one. 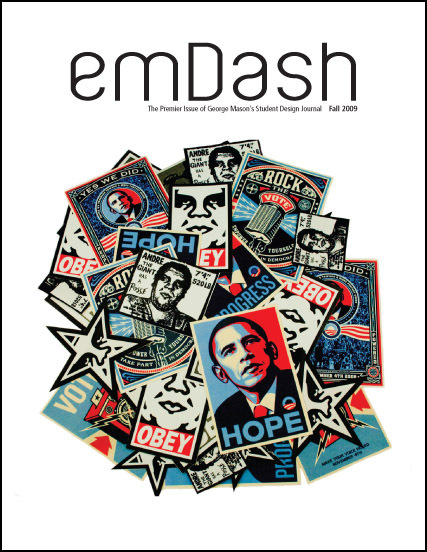 The premiere issue of emDash is a collaboration between students in my design writing and editorial design classes at George Mason University. Though aimed primarily at the GMU community, those curious about what’s engaging design students in 2009 will also find a lot to interest them. Hats off to Jamielyn Smith and Teodora Blindu, the editorial/design team that brought it to life, and thanks also to all the students who participated in the project as writers or who contributed work. It takes a village to make a magazine. I’d like to also acknowledge Andrew Fitzhugh at MagCloud for coming to me with the idea, and helping to make it possible. Hard copies can be purchase at MagCloud, (modest) proceeds will go towards design education at GMU. Or, if virtual is good enough, pdf’s can be downloaded for free (39.8mb file). Come on, baby don’t you want to go? 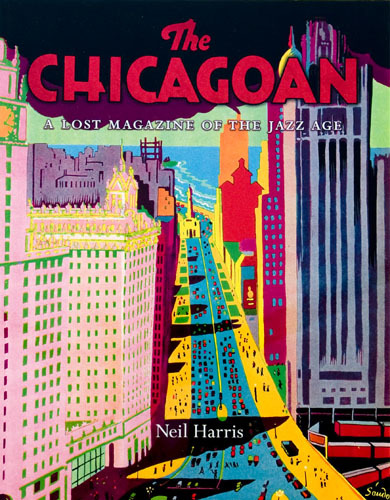 My birthday last month saw the arrival of The Chicagoan, A Lost Magazine of the Jazz Era by Neil Harris (Thanks Mom and Dad), and I’m enjoying it thoroughly. 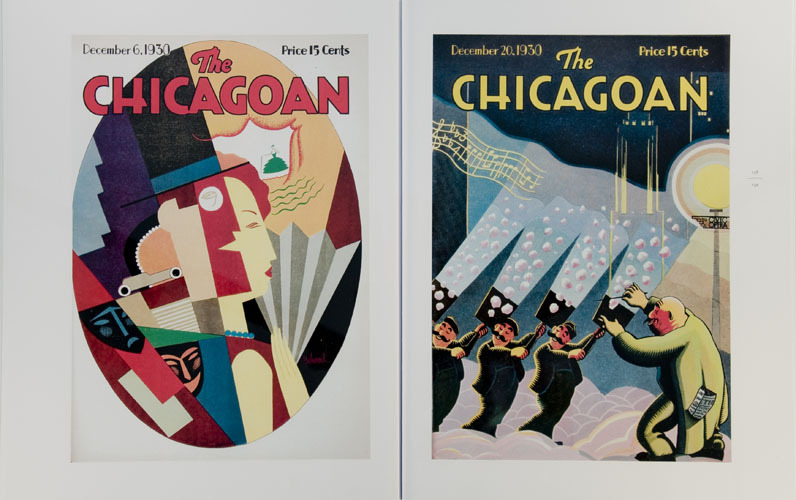 One need not be a scholar of magazine design history to know (or at least strongly suspect) that the Chicagoan bears a strong resemblance to The New Yorker of the same era. 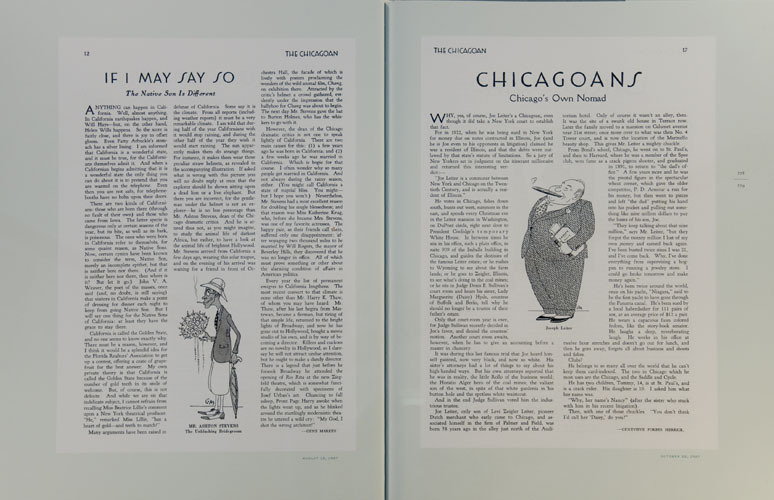 This similarity extends beyond the appearance of the magazine—both the early New Yorker and The Chicagoan share a certain knowing snarkiness and urbanity that is very appealing. In many ways the parallels make the small differences that much more intense. It’s been some time since I really sat down with the first few volumes of The New Yorker, but my sense is that the Chicagoan has a scrappiness that the other publication lacks; and a fair bit more bluster. The NY magazine predates the Chicagoan by just 16 months, so there was doubtlessly some influence, but some of the parallels are likely due to the similarly urban audiences, a launch in the same (roaring) era, and similar cultural, arts, and journalistic agendas. Unlike other books about great magazines, which often make the mistake of telling you how wonderful and clever everyone on staff was, this book shows. Hundreds of covers and pages are printed in full size, allowing for plenty of reading, and The Chicagoan is a pleasure to read—full of witty writing and visual treats. The experience is almost like discovering the dusty bound volumes yourself in a forgotten corner of a library basement. 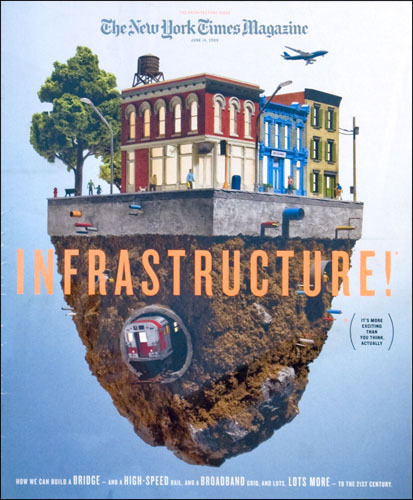 The other thing that differentiates the Chicago magazine from its NY cousin is that it covers some of what turned out to be a very important few years for the city of big shoulders. 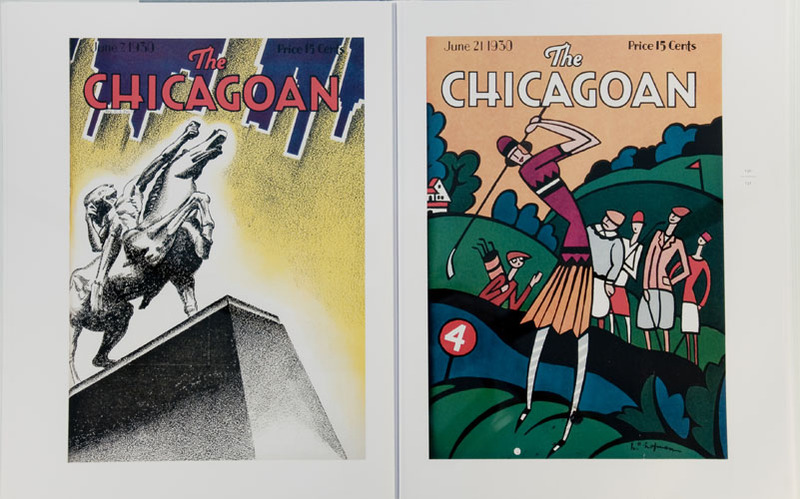 With the Colombian Exposition, and the increasing prominence of the city as an industrial, shipping and eventually academic center happening concurrently, The Chicagoan documents a city as it was becoming confident of its own importance—The New Yorker was born into a town that was mature in a way that Chicago was not. 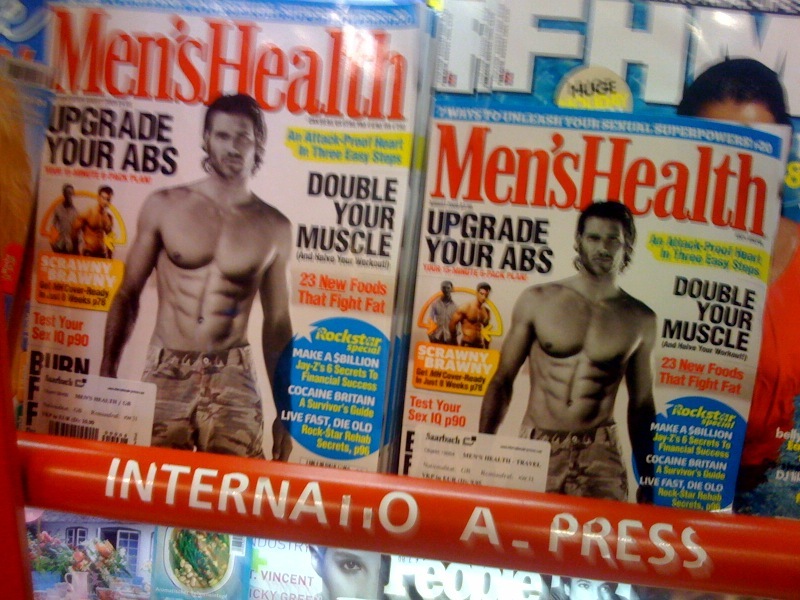 When I’m clev’r I give me magazines a good shake to clear ‘f the dandruff before leaving the store. Obnoxious? perhaps but I always hoped Borders would calculate the cost of cleaning up all the cards (mine and the plenty of ones that got there quite by accident) and demand to receive subscription card-free magazines. Of course that doesn’t work when you get the mag in the mail and it’s still stuffed with cards. But no more, Dwight Garner at the NY Times reports. “Mr. 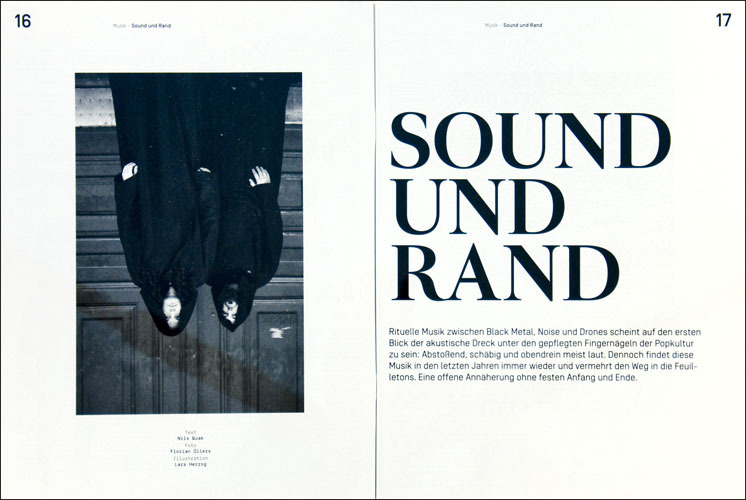 Magazine” Samir Husni had a tip in his article for Designing Magazines, that I think I’d always kinda followed but hadn’t really thought about, so reading it really resonated with me. He said that a designer “shouldn’t trap white space in the middle of a layout.” For years I’d been suggesting that students build pages around dominant…uh….somethings (could be a headline, could be a pull quote, could be an image…), his way of defining the same basic production trouble spot (more or less) was less cumbersome than mine. “Don’t trap white space” gets right to the point. As a professor, aphorisms are useful to me, but, if you don’t have to teach, is there any advantage to cluttering your mind with rules? Personally, I sit on the sidelines in the design instinct v. knowledge debate—there have been too many talented unschooled practitioners to argue that a formal education is necessary for everyone every time. But I do think that for most people a GD degree is the shortest (and ultimately least expensive) road to competence. And, there are also other advantages to knowing rules—one is that you’re more likely to notice when, for good or ill, they’re broken. 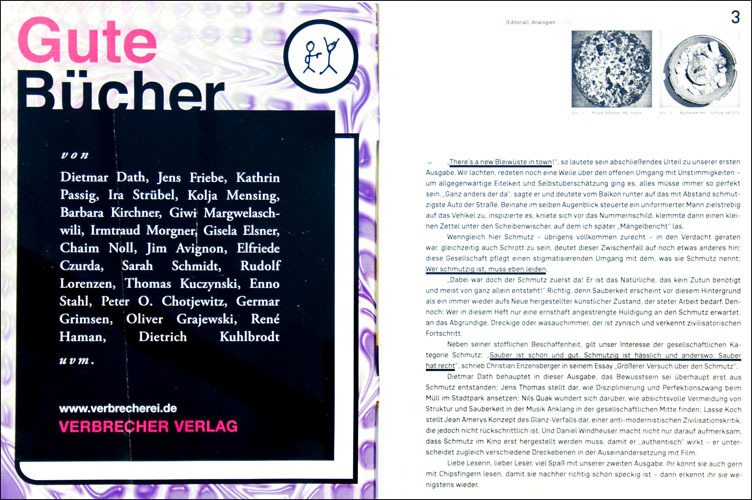 I was stunned by how impressively The Opak team shatters the “trapped white space rule” on nearly every page of this lovely magazine I found in its second issue on my recent time in Berlin. 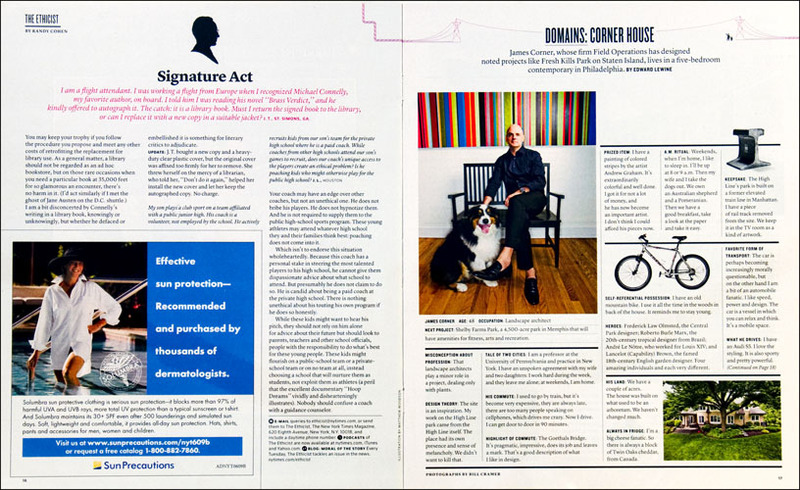 The rule is most flagrantly violated on the above spread, but the entire aesthetic of the magazine seems to be based on throwing content to the edges of pages, leaving jagged gaps in variously places, particularly layout middles. Nevertheless, white space and content is balanced so perfectly that magazine never seems unfinished or empty. 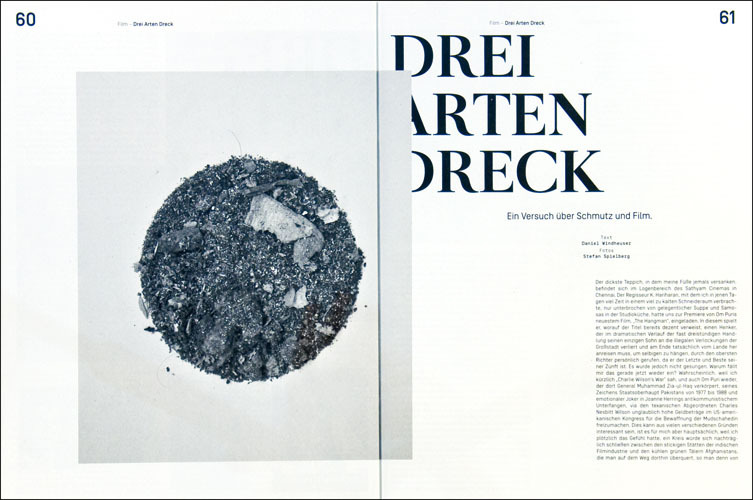 Typographically, (and possibly in the whole anti-design aesthetic of the magazine), Opak seem influenced by 032c, the German Magazine that created such a stir a while back for its (more rule violations) acid color mixes and past-the-breaking-point artificially condensed type. 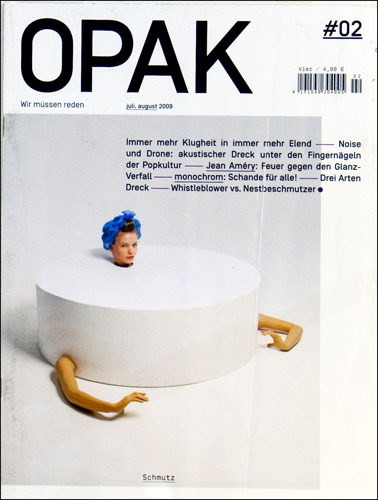 While Mike Meiré’s design for 032c might be more “innovative” I can’t help liking Opak better. It may be that the (mostly) monochromatic pages tame the wildness of the other glossy down a bit, but I think it’s more than that. 032c sticks a lot of fingers in your eyes at once. Opak is much more judicious in where and how it flaunts convention, and the resulting pages are much more elegant. By and large, I found more interesting magazines in Germany than in France on my European adventures this summer. The reason may be that Germany actually has better magazines, or it may be that France actually has really good and inexpensive wine. In the end, I left Paris with a couple interesting titles (which I will be writing about) but for a while I thought my only souvenir from gay Paree would be Palace Costes. 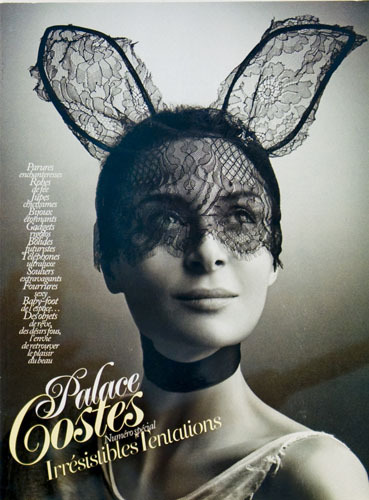 Palace Costes is a luxury woman’s magazine in the guise of a hotel title not unlike several in the US including the glossy The Ritz Carlton puts out. But unlike the Ritz’s book, PC seems to offer more of an stylistic link between the hotel’s brand and the editorial (Ritz hotels have a men’s club feel, the mag is pretty in pink). Additionally, even though most PC content is what could be hum-drum product pages—the magazine qua catalog Trojan Horse that we’ve all seen over and over again—instead these pages are most entertaining. 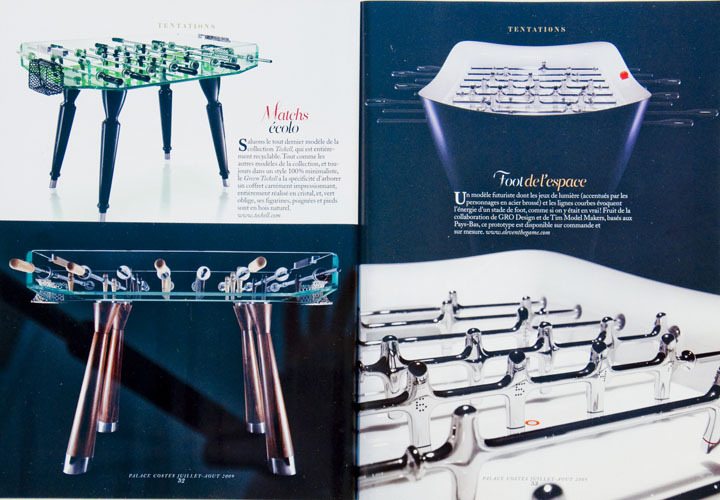 Products are so preposterous that this content ends up being more amusing and visually entertaining than the perfunctory features the magazine also offers. 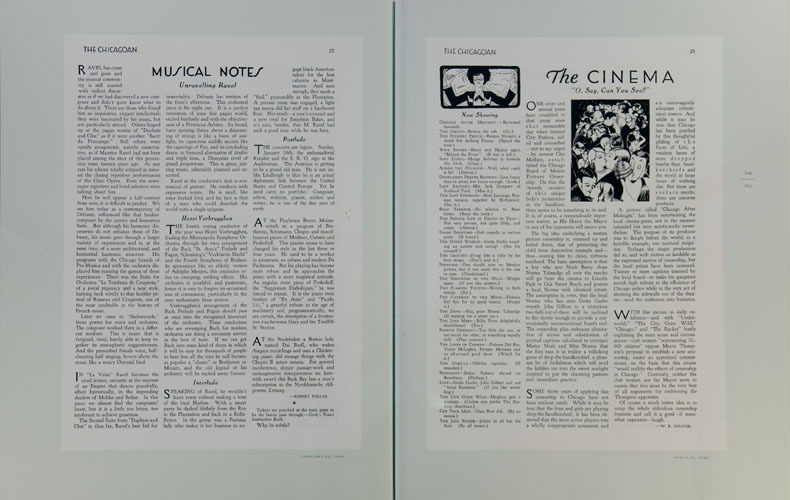 Design-wise, the magazine over-relies on filled-in counters in the type (which was trick #3 in the punk designer’s tool kit, c. 1978), but what makes the magazine impressive (for it’s category) is how entertaining it is even when you can’t read the words. My adopted city of Washington has 100 languages, and tens of thousands of foreign visitors each year. But you wouldn’t know it from city or subway signage. There are no accommodations to be seen for non-English speakers. I don’t think making a magazine useful to people who can’t read it is any less of a challenging than achieving the same task for a subway system. But Palace Costes, is is a welcome and amusing few minutes of diversion no matter your language, and that’s what a hotel glossy needs to be. 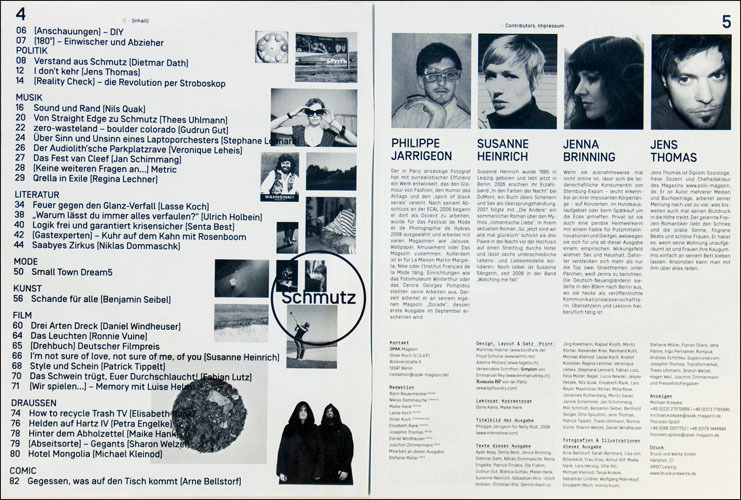 When I got the magazine back to our charming two-bedroom flat in the Marais (overlooking a courtyard with several good restaurants), I discovered that a single page towards the back had been torn out. But I can’t imagine it had anything better than these shoes. And one more featutre and one more product. Given that, I’m not sure why the format (which didn’t seem to catch on State-side) is now available for a number of British men’s titles—that is unless there’s something about English men that I don’t know. 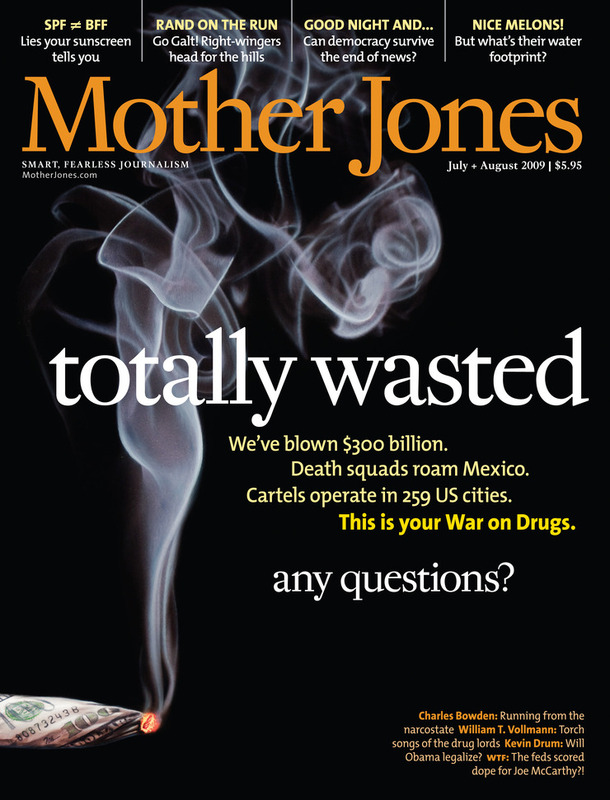 While I contemplate the return of Designing Magazines (the blog, the book is available, and quite reasonably priced, at an online retailer near you) I wanted to share a link to Tim O’Brien’s excellent post about Mother Jones’s use of illustration. During the election, there were a lot of cover stories about both candidates, but my (completely unscientific) sense was that there were more about Obama. 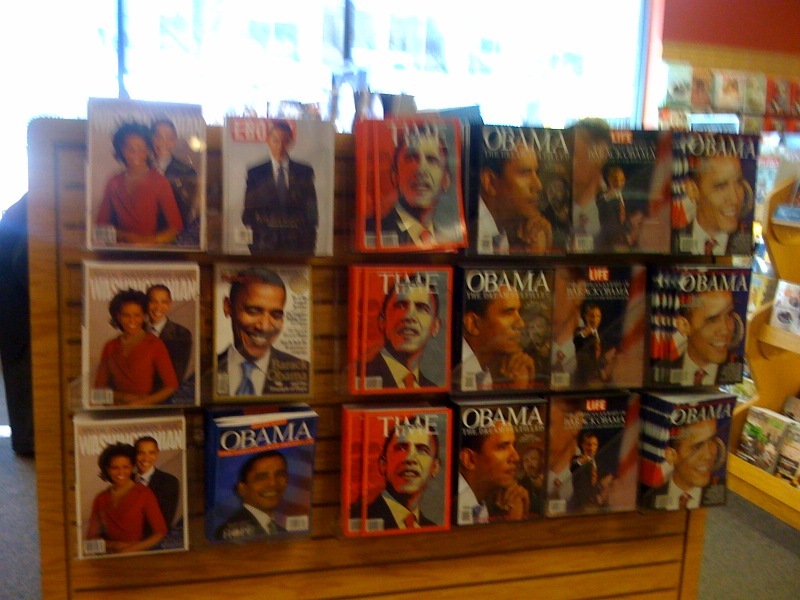 When he won, there were a bunch more pictures of him on smiling down from the racks. And now with the inauguration just days a way, there’s a whole lot more. 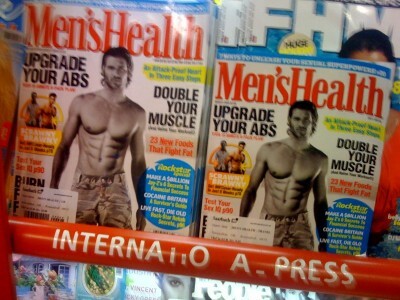 Last week, I counted 17 covers that feature his face at Borders where this blurry (sorry) cell phone picture was taken. Our friends in the “loyal” opposition doubtlessly smell media conspiracy, or at least believe there’s some percentage in saying they do, but there are, I think, a lot of reasons Obama has been so cover-worthy that have nothing to do with his politics. A number of magazines that usually ignore elections took an interest in him because (well, obviously) he’s African American but also he’s physically fit (He appeared on more than one exercise and diet glossy) but most importantly, he’s got GQ cover-worthy looks. Still, his win is old news now and he hasn’t started to govern yet so why a third wave? Probably for the best reason of all: He sells magazines. The earliest regular Colonial newspaper was the Boston News-Letter founded in 1704. The hyphen, I’d guess indicates that media consolidation afflicted even the first publisher…though I’m not quite sure how. I learned today that The Atlantic was the first American magazine, and began publishing just two years after the BNL in ’06. As improbable as that may seem, the current issue of Atlantic (which I just had to buy to see the Pentagram redesign for myself) boldly declares that it’s in its 302nd Volume–or at least that’s what the TOC says. The Editor’s note doesn’t quite jibe with that figure—it mentions a first redesign coming 1947–90 years after the magazine’s founding. That would put the age at 151, or exactly half of 302. So, either someone made a mistake, or The Atlantic publishes in dog years.